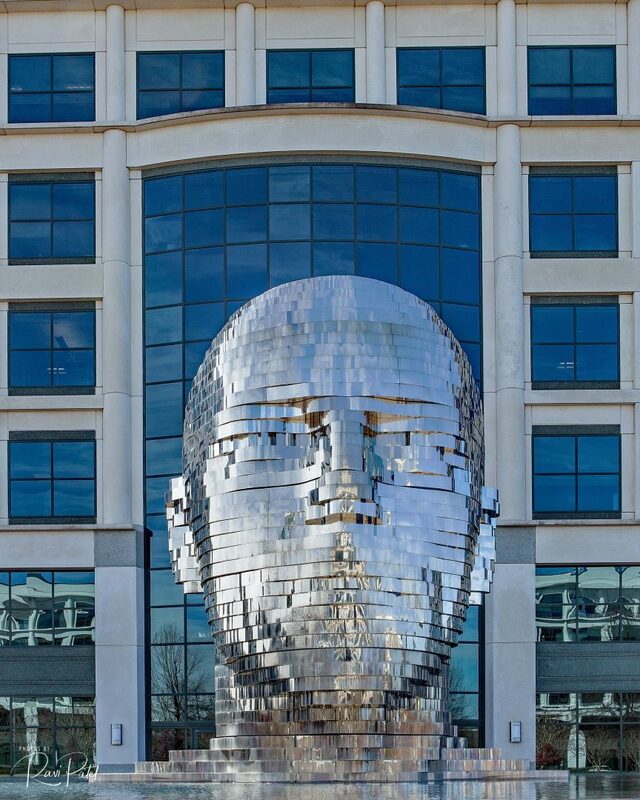 Metalmorphosis, by Czech artist David Černýa, is a mirrored sculpture housed in the Whitehall Technology Park in Charlotte, North Carolina. The creation consists of nearly 40 steel pieces grouped into 7 segments which independently rotate 360 degrees. 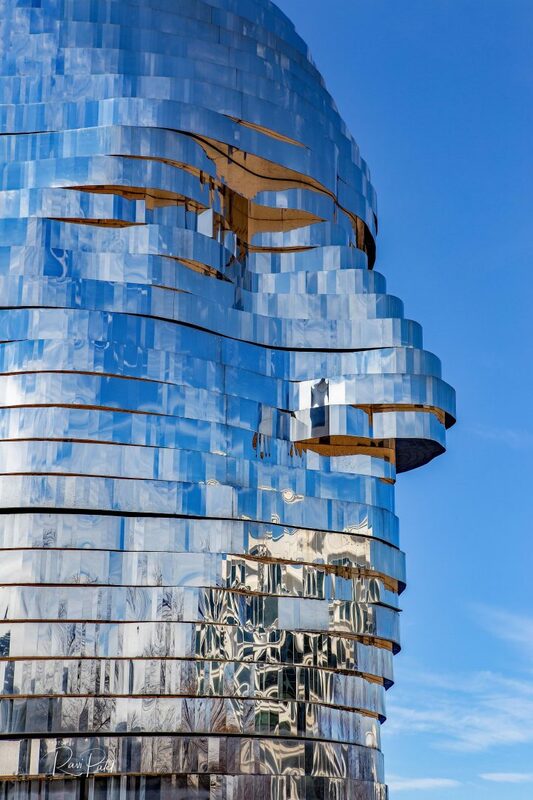 When the segments are aligned, the sculpture appears to be a giant, silver head with all of the usual fixtures in their regular places.